Barbara Biggers has been described by reviewers as one who “plays with beauty and nuance” and “creates a luminous sound”. She has lived in Dallas, Texas for only a few years and has performed regularly with the Dallas Symphony, Dallas Opera, Ft. Worth Symphony, Dallas Chamber Symphony, Oklahoma city Philharmonic as well as many free lance groups in the area. 42nd Street, Wicked, Hello Dolly and Carousel. Her recordings include a solo cd, Nocturne, Britten’s A Ceremony of Carols with the American Boy Choir, the cast albums of Nine and Follies and Fantasy Sonata by Sir Arnold Bax with violist Brett Deubner. Ms. Biggers began her harp studies with her mother, Jeanne Fintz Goldstein and then proceeded to the Cleveland Institute of Music where she studied with Alice Chalifoux. Classically trained harpist Kimberly Snaufer DeRosa is a concert and recording artist, a freelance performer and music educator. As a soloist and a chamber/orchestral musician, she performs many genres of music. 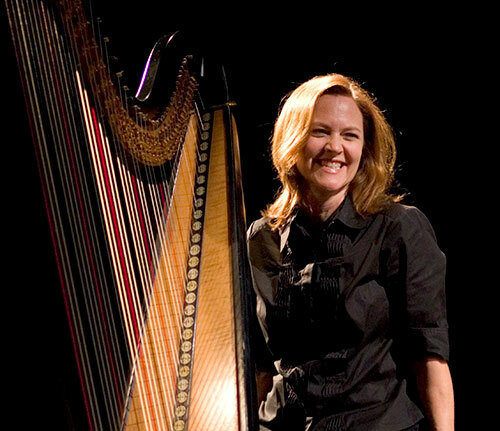 After earning her Bachelor of Music at Southern Methodist University under the direction of Susan Dederich-Pejovich and completing her graduate studies with world-acclaimed harpist Judy Loman at the Royal Conservatory of Music in Toronto, Canada, Ms. DeRosa accepted an invitation to be a private instructor for harp, piano and theory at The Royal Conservatory in 1991-1992. She then quickly became a leading free-lance musician and instructor in Houston, Texas. In 2006, she performed and taught in the Northeast until she returned to her home state of Texas in 2010. Her freelance concert work in the United States, Canada and Australia has included Houston Symphony Orchestra, Houston’s Theatre Under The Stars, Dallas Wind Symphony, Fort Worth Symphony Orchestra, Opera in Concert, Mississauga Symphony, Waterloo-Kitchener Symphony and touring with Keith Brion’s New Sousa Band among others. Performances in various celebrity concerts include Frank Sinatra, Jr., Bernadette Peters, Connie Francis, Ray Charles and the Moody Blues. Ms. DeRosa is currently developing a unique style and a series of workshops using harp music for relaxation and wellness. “I’ve always been in awe of the spirit of music and its affects on the performer and the listener. It is my intent to share the essence and awareness of music and the harp specifically for relaxation and wellbeing.” Her ongoing free-lance adventures in the Dallas – Fort Worth areas includes performances with the Dallas Jazz Harp Ensemble. Her partnership with guitarist Marc Garvin, known as the Snaufer-Garvin Duo, spanned over 20 years and produced numerous new arrangements for harp and guitar of Spanish & South American music. The Duo’s CD recording “Zero Hour” and her self-produced Christmas CD, “Tidings of Joy”, featuring harp with guest musicians on flute, cello, guitar, oboe and violin are both available on www.cdbaby.com. A passionate educator and presenter, Ms. DeRosa instructs all ages and levels at her studio in the Lake Dallas area. Her priority is to nurture each student’s joy and love for music and the harp while building confidence and polish. Her students have won competitions and earned scholarships and acceptances into prestigious universities and conservatories throughout the United States and Canada. A respected presenter, she offers various workshops, coaches harp ensembles and conducts master classes. Ms. DeRosa is founding director for Houston Summer Harp Festival (www.HoustonSummerHarpFestival.com ) which celebrates its 20th anniversary this year. This festival offers a unique experience for middle school and high school students on lever and pedal harps. 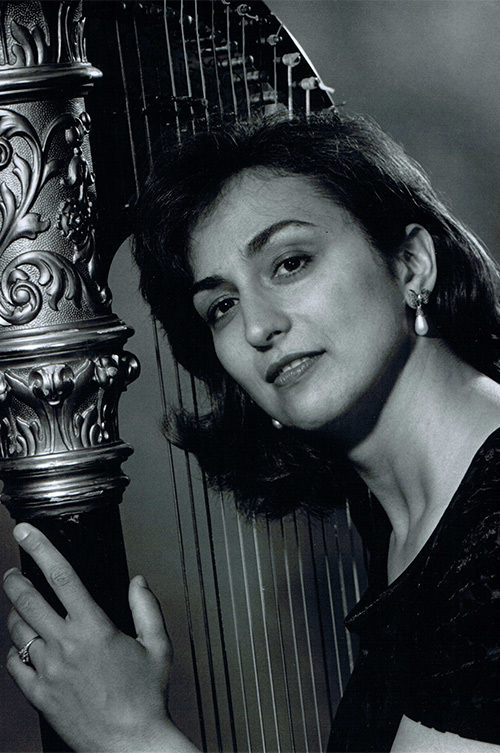 In 2006, Ms. DeRosa founded Harp Journeys offering a format specifically designed for the adult harpist. This festival provides opportunities for participants to hone their skills, further explore the world of harp and enjoy the fellowship of other harpists while learning from local and nationally acclaimed guest presenters. Harp Journeys expanded to include a Youth Festival in 2011 and 2012 in Lewisville, Texas. Past affiliations include Howard Payne University (Adjunct Instructor), Houston Summer Harp Festival (Founding Director) and McKamy Middle School in Flower Mound (Harp Instructor). Previous affiliations include Affiliate Artist at Houston Baptist University and Adjunct Instructor at Sam Houston Sate University, Harp Instructor at School of the Woods Montessori School (Houston). 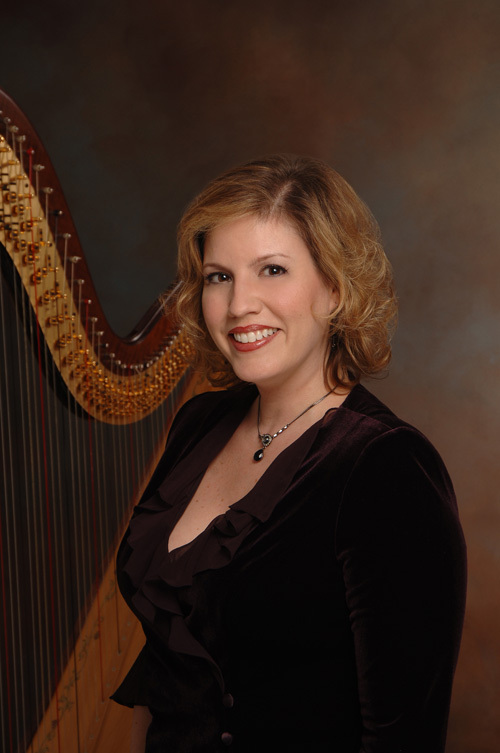 Throughout her career, she has served her harp community on local and national levels through the American Harp Society and is the current Chair of the Chapter Committee, AHS. Ms. DeRosa lives in Hickory Creek with her husband, Richard, a Grammy nominated composer/arranger and director of Jazz Composition and Arranging at University of North Texas. Cindy Horstman has been performing, recording, writing, and arranging for the past four decades. Classically trained, she is the first recipient of a Master of Music degree in harp performance from the University of Texas at Austin and a prize winner in the Lyon & Healy International Jazz Harp Competition. Cindy co-founded the jazz duo,“2tone”, with bassist Michael Medina, the producer of 2tone’s 10 CDs. 2tone has toured nationally for 20 years and their recordings have received critical acclaim on Amazon.com and CD Baby. Horstman’s jazz theory workbook for harpists and her jazz-oriented arrangements and compositions for harp ensembles are very popular with harpists both nationally and internationally, becoming best sellers on the Harp Column Music website. She has given clinics nationwide and conducted her ensemble arrangements for the youth ensemble at the American Harp Society convention in New Orleans, the TMEA harp ensemble in Round Rock, TX, and the UT Longhorn Music Camp in Austin, TX. Cindy is also the founder, director, composer and arranger of The Dallas Jazz Harp Ensemble and currently teaching harp at Brookhaven College in Dallas, TX with an emphasis on arranging, particularly in the jazz idiom. Dr. Laurence Furr is Cantor/Organist at Trinity Lutheran Church in Fort Worth, TX. He has a B.M and M.M. in Pipe Organ performance from the University of Texas Arlington and Texas Christian University. His Ph.D. is in Humanities with an emphasis in music and art history. Dr. Linton Powell was his Ph.D. committee chair. While working on his Ph.D., Dr. Furr was awarded a Fulbright Scholarship, studying harpsichord with Genoveva Gálvez at the Royal Superior Conservatory of Music in Madrid, Spain. He has studied harp technique with Therese Honey. Laurence is a Certified Clinical Musician and Certified Therapeutic Harp Practitioner and works at John Peter Smith Health Network. He plays therapeutic music on the harp in all departments of the hospital, including in surgery, ICU, NICU, ER, Trauma Unit, and all Critical Care Units. He is also employed by Vitas Hospice and plays in the Vitas In-Patient Unit at Baylor All Saints Hospital in Fort Worth. 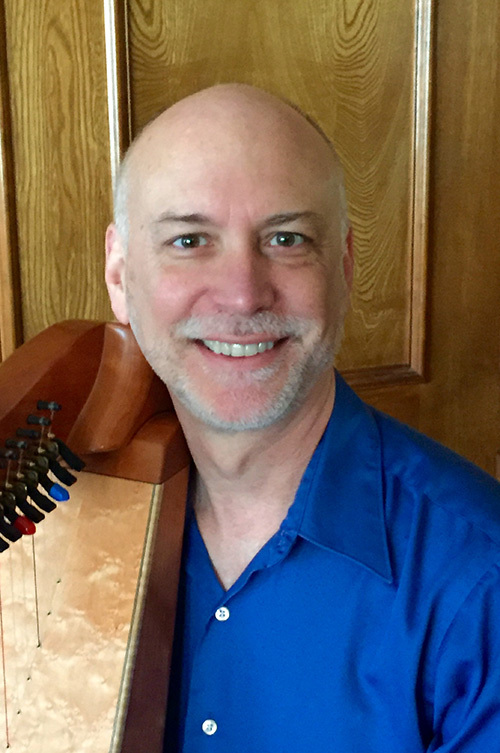 Laurence has taught therapeutic courses for the past few years at Somerset Folk Harp Festival, was a lecturer in Diana Rowan’s Virtual Harp Summit, and will be teaching three courses at Holden Village in the Cascade Mountains in central Washington this summer. Laurence is also a Certified Aromatherapist and recently received certification in Mindfulness Based Stress Reduction meditation. He spends his free time trying new wines, traveling, hiking, reading, and exploring Native American spirituality, and meditation. He considers Santa Fe, NM his spiritual home.